This is what I get from binge watching Face-Off. A wee tentacle monster has decided to break out of its shell. And it is wee. It’s an extra large chicken egg. It just looks way bigger in photos. So for all you tentacle monster lovers, here’s one for you. The egg’s interior is purple, and the exterior is mottled in purples, greens, black and silver, with a matte lightly crackled finish. 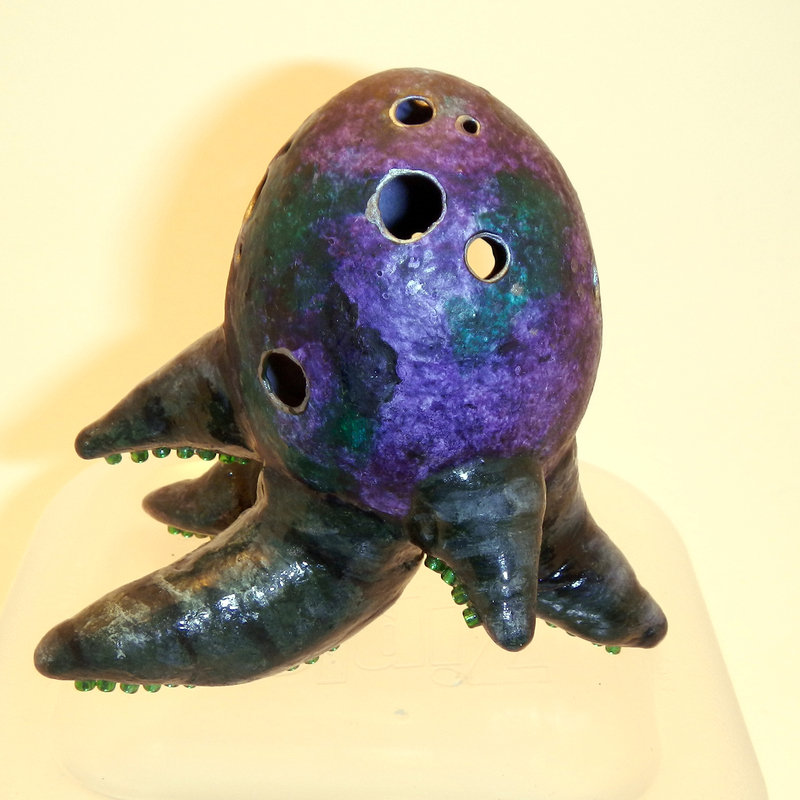 The tentacles are green and glossy, like all good tentacles (they too may or may not have a light crackle finish. ), and have emerald green and silver beads for suckers. It doesn’t need a stand- the tentacles do that all by itself. You can take this flawless little monster home for $250 plus shipping. Here’s some more shots showing him off at other angles. He models like a pro already. If you want to adopt him, fill out this form, or go check him out at the etsy shop.